It is very interesting to note that although the concept of contact lenses was actually thought of in 1508 by Leonardo da Vinci, it only came into existence in the1970s, at least those that could be worn comfortably. However, we have come a long way from the traditional lenses. Today, contact lenses are worn for both utility as well as fashion, especially given the fact that lens manufacturers have created wonderful lenses that create fashion statements. Prescription contact lenses are those that are prescribed by eyecare practitioners, usually to correct vision-related problems in an individual. These lenses are different from lenses that do not help to correct any vision or Plano lenses, which are nonprescription lenses. It is pertinent to note that post-2004, it has become very difficult for people to obtain contact lenses without a prescription in the US. Still, most online shops are one-stop havens where you can buy both prescription and nonprescription contact lenses. Since contact lenses are in direct contact with your eyes and any problem that you have while using them could affect your eyes, physically as well as in terms of your eyesight, it’s suggested to buy them after being prescribed by your eye doctor. Common problems caused by wrong contact lenses include inflammation, discomfort, abrasion, or swelling. In some cases, it could also cause permanent damage to the tissues of the eye. 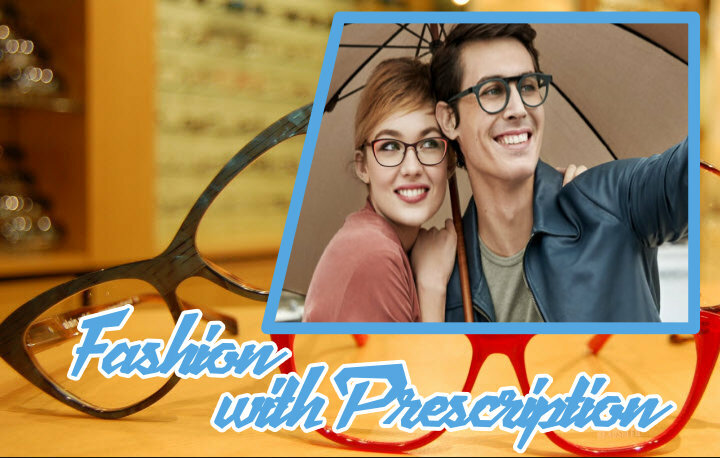 Therefore, it is very important that you contact your eye care practitioner for prescribing contact lens, even if you require it for making a fashion statement and do not really require any vision correction. Prescription for contact lenses is different from the prescription given for eyeglasses as it contains more information, which is not really required for glasses. While prescriptions for both glasses as well as contact lenses contains information regarding the sphere, axis, and cylinder of the lens, the prescription for contact lenses also contains information regarding the base curve and diameter along with the brand that will suit your needs. This is because the contact lens has to fit over your eye properly. Else, it could lead to a temporary loss of vision or other eye-related problems. It is essential to note that any prescription for contact lenses has a limitation or validity period, usually 1-2 years, after which you have to get a fresh prescription. This is because most vision-related problems undergo changes over a period of time. While you can never get rid of such problems completely, they might increase or decrease in intensity and it is absolutely essential that you keep track of such changes and accordingly change the power of your lenses. Under these circumstances, it is better if there is a validity date for your prescription as you will then be regular with your eye checkup if only to renew your prescription. Prescription contact lenses are available for several leading brands. It is important to buy only those brands suggested by your eye care practitioner as the base curve of one brand is different from the other. In other words, for the final fit in your eye that’s comfortable, it’s better to buy prescription contact lenses.